Olivia is a fourth-year from New Jersey majoring in Applied Linguistics and minoring in Asian Languages. Since eighth grade, Olivia has been traveling all over the world to staff and compete in MUN conferences. Outside of MUN, she enjoys playing soccer, protesting against human rights violations, and discussing intersectional feminism. After graduation, Olivia hopes to go to graduate school, and to continuing working in Inner Mongolia. Malvika Varma is a senior Economics major from New Delhi, India. She’s been involved in Model UN since high school and is looking forward to an exciting senior year with MUN at UCLA. Outside of MUN, you can find Malvika taking naps, trying out interesting food places in LA, or trying to cope with her shopping addiction. Having interned in wealth management and equity research in the past, Malvika hopes to work in finance once she graduates. Helen-Sage Lee is a fourth-year student from Orange County, California who is studying Philosophy while simultaneously creating her own major titled, “Human Rights and Technology.” As an activist with a strong background in policy debate and mock trial, Helen worked to find her place and com(MUN)ity in MUN by competing on travel team, incorporating theatrics in GA committee speeches, playing quirky characters in crisis committee updates while staffing LAMUN, and passionately discussing women’s rights and the roles and influences of technology in today’s society. When she isn’t finding ways to forge social justice with innovation, Helen loves writing on her typewriter, kickboxing, dancing, hugging golden retrievers, and watching Rick and Morty. Upon graduation, she either hopes to pursue law school or keep starting projects that satisfy her want to explore the world around her and make a difference. Prannoiy Chandran is a fourth-year Economics and Cognitive Science major from Singapore and India. He has competed in Model UN since high school and is excited to serve as the club’s Director of Finance during his final year on the circuit. With a passion for business and international relations, he aspires to work in venture capital and consulting in the future. Outside of MUN, he enjoys travelling, reading, concerts, checking out new TV shows and following the EPL and NBA. Rachel DuRose is a second-year at the College of Letters and Science at UCLA and is from Orlando, Florida. She joined Model UN last year at the start of the academic calendar and has been dedicated to the club ever since. Having chosen to attend a college in LA in order to continue to pursue a career as an actress, Rachel is prepared to balance school, MUN, and auditions. Outside of MUN Rachel can be found facetiming her twin sister who’s at UPenn, volunteering on political campaigns, or drinking a lot of coffee. Hailing from Allahabad, India, Aditya is a third-year pursuing majors in Economics and International Development Studies. He has been involved with Model United Nations for the past six years and has chaired and competed actively for MUN at UCLA. Outside of Model UN, Aditya runs a blockchain and cryptocurrency trading club on campus and aspires to explore careers in financial services and technology. When he is not cramming through the quarter, Aditya spends his time traveling, gaming, or binging T.V. series. Dan Zhukov is a third-year History and Political Science double major, born in Russia and currently living in the San Francisco Bay Area. After getting dragged into a MUN conference by his friends during the last semester of high school, Dan has decided to stick with it and joined the UCLA travel team at the beginning of his sophomore year. He is really excited to apply his experience as a crisis delegate on the circuit and the chair for last year's JCC to ensure that the crisis committees for LAMUN 2019 are the best they can be. Between MUN, work, fencing, and the Russian club, Dan only has so much free time to wrack his brain figuring out his post-college prospects, read and watch all things sci-fi, and beat his fellow USG, Adi "Two" Agarwal, in chess. Kristie-Valerie Hoang is a third year double majoring in Human Biology and Society and Political Science. Kristie got her start in MUN right here at BruinMUN XXII, where she got taste of the thrill that comes with every speech given and resolution signed. Kristie is particularly excited to serve on LAMUN Secretariat this year. 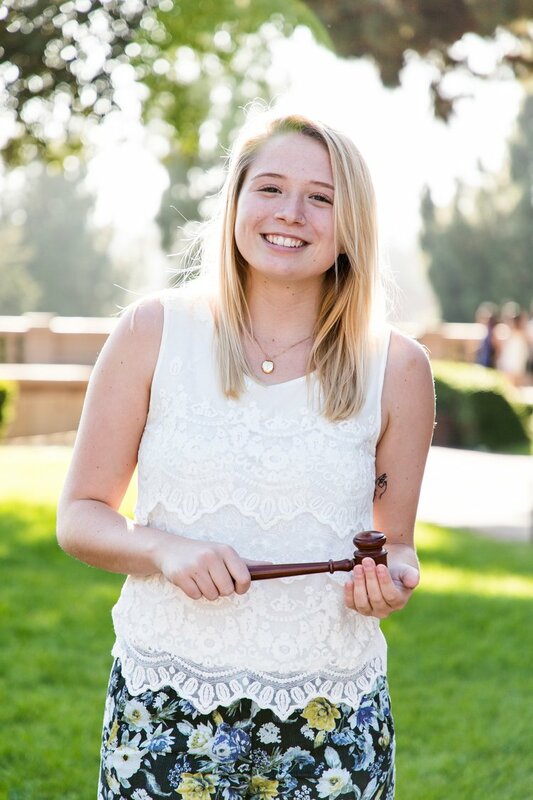 Outside of MUN, Kristie is involved in the Daily Bruin - UCLA's student-run newspaper - serving on the editorial staff as the Social Media Director and senior staff photographer. In between keeping up with breaking news and planning the best LAMUN yet, Kristie enjoys pretending she is Gordon Ramsay, defending Taylor Swift, and cheering for UCLA's declining? rising? athletics program. After graduation, Kristie hopes to work in the intersection of politics and mass communication.